With J.Crew’s 25% off full-price items & 30% off final sale items promo, I’m wondering if I should pull the trigger on a few items on my wishlist. Which have you tried on and which would you recommend as a worthwhile purchase? I actually own this trench in the camel color from a few seasons ago. It’s absolutely one of my favorite coats ever, and definitely my go-to coat for Fall (and as much Winter as I can possibly squeeze out before I freeze to death). I’ve gotten countless compliments on it, mostly around the fact that it imbues a lot of class and elegance. This is the first season it’s come in Black as far as I know, which is exciting since I remember back when I first purchased it, I had also wanted it in this oh-so-slimming color. Guess I wasn’t alone! It’s a little pricey, sure, but a great investment and I know I’ll get a lot of wear out of it. If you like it too, you can get it here. Like every other J.Crew fan, I also own the classic schoolboy blazer in the classic navy color. I haven’t really found any other blazer that’s as preppy chic and flattering as J.Crew’s schoolboy blazer. With Fall here, I can’t get enough of houndstooth, so this blazer is just the perfect combination. I also love, love the gold buttons and the orange collar. What great pops of color that take this classic up a notch. Question is, do we think this will make it to sale? Though 25% off at this point is already not a bad deal…if you love this too, you can get it here. This sweater was made for people like me. I always thought layering a sweater on top of a crisp white button-down shirt was uber chic and made you look so polished, but I absolutely hated pulling a sweater over a shirt. The sleeves get all bunched up or twisted inside the sweater sleeves, you always have unevenness or possible bunching on the inside somewhere, and it’s just an overall mess. This shirttail sweater is made for the lazy-but-wannabe-chic people like me, where you get the undershirt look without any of the effort. From the reviews, it seems like a piece to be tried on in person to determine whether this is a good fit, so I’d recommend that. Check it out here. This skirt’s tweed material seems really similar to the houndstooth in the schoolboy blazer above, so of course I love it. 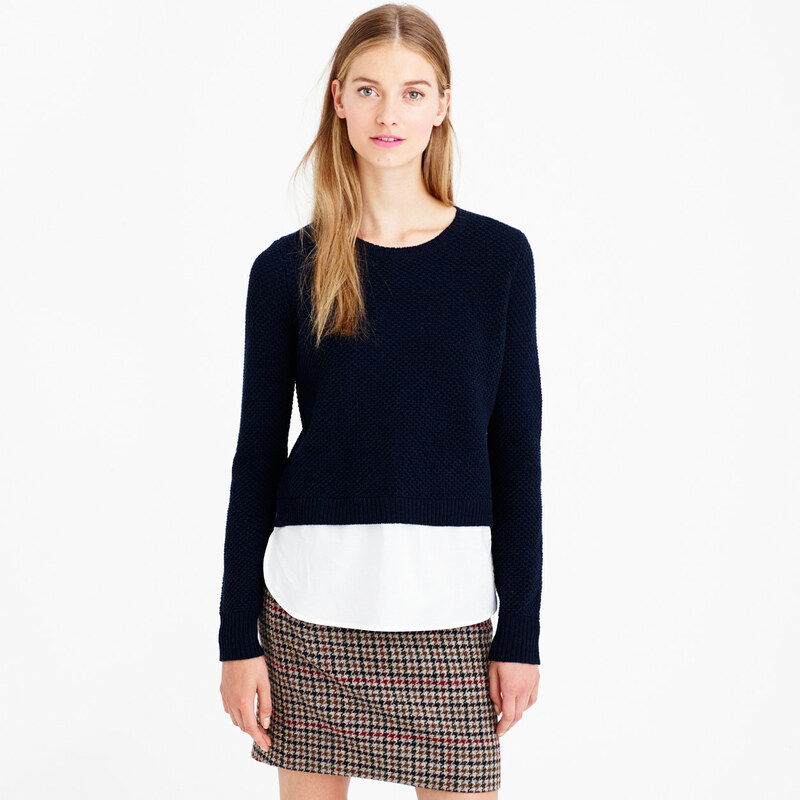 It’s quintessential Fall, and I love it paired with that shirttail sweater and riding boots. 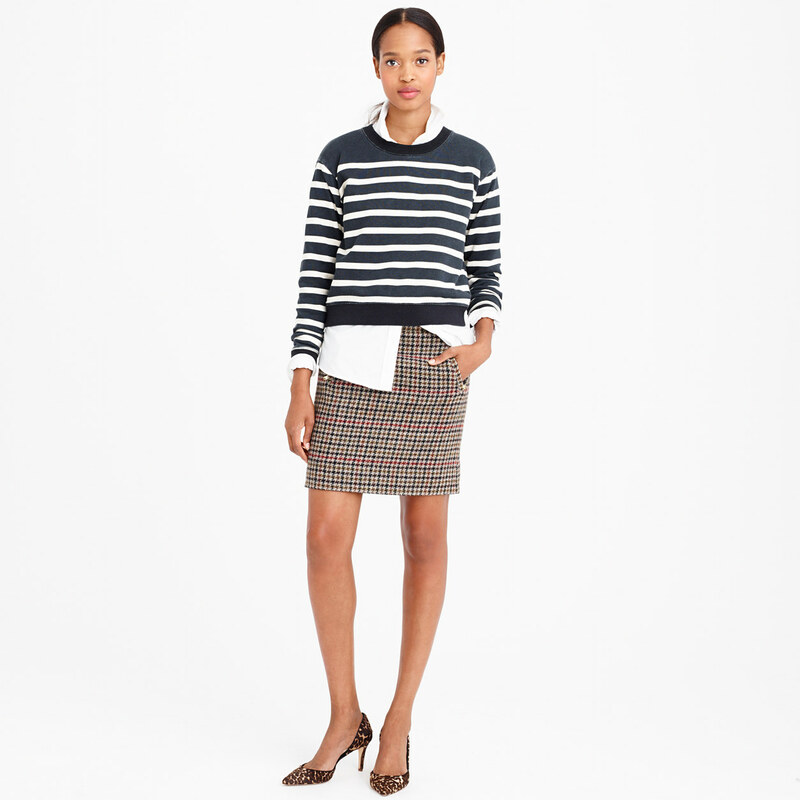 The only downside of these tweed/houndstooth skirts is that it’s kind of an one-season skirt, not exactly appropriate for spring/summer, but that is part of its appeal as the quintessential Fall material. Get yours here. Have you tried on any of these? What are you getting during this promo? 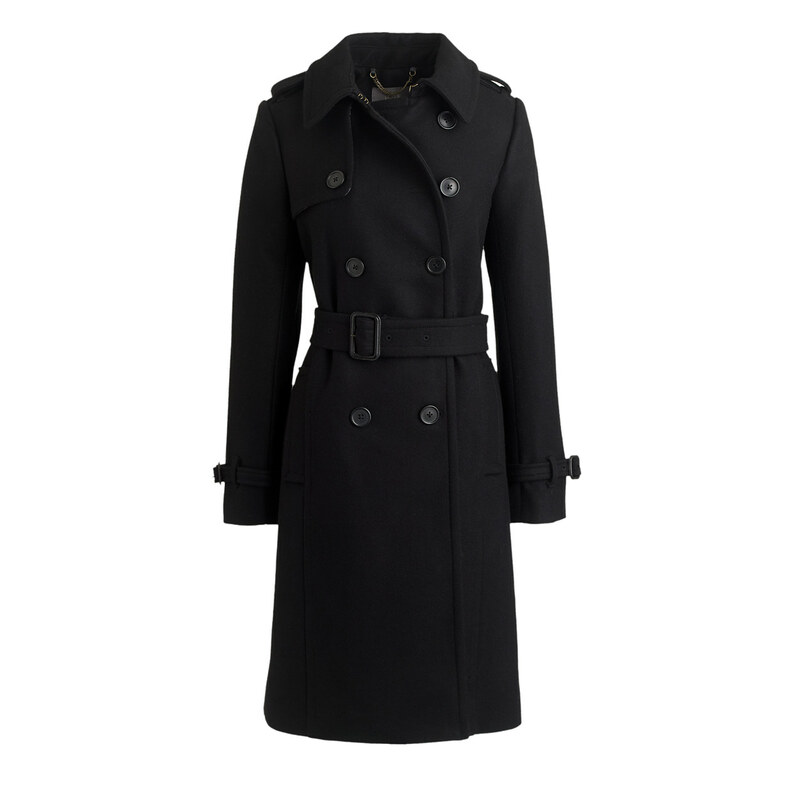 Ahhh just saw that the icon trench came in black this year! And now my size is sold out! boo!